The Border Service, Starfleet’s less glamours sister service. 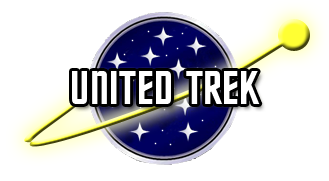 Here they may not go boldly where no man has gone before, but their contributions keep the Federation borders safe and Starfleet functioning. Available at Ad Astra and at the TrekBBS. Myth and reality collide when the Border Cutter Sturgeon comes across a creature of incredible power. Live is no picnic on a buoy tender as Kelendi Nor Huren of the Pimlico soon discovers. Captain Nor Huren of the Pimlico has to keep a crew of misfits in line in order to accomplish her mission. Quinn is just trying to relax in her off duty hours. It doesn’t stop her to have some fun. Acclimating a disgraced new officer on her ship may be Captain Nor Huren’s greatest challenge yet. Captain Artemus Slayd is the veteran skipper of the USS Dragonfire. Now he and his crew are desperately trying to prevent a war on the Federation border.